Adjust graphic effects in Scratch to change the appearance of a sprite. 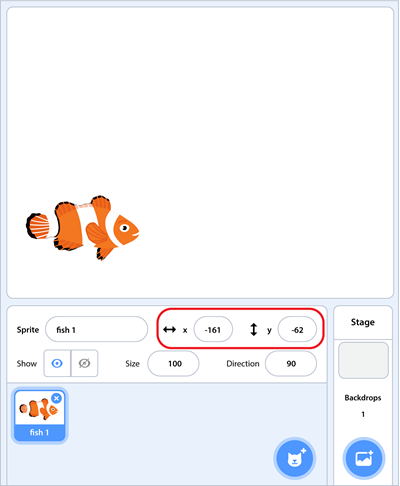 Scratch is a coding app that can be used to introduce programming to children. It is free to use. Scratch has seven effects you can alter including color, fisheye, whirl, pixelate, mosaic, brightness, or ghost. Use the change effect coding block to enhance your projects. 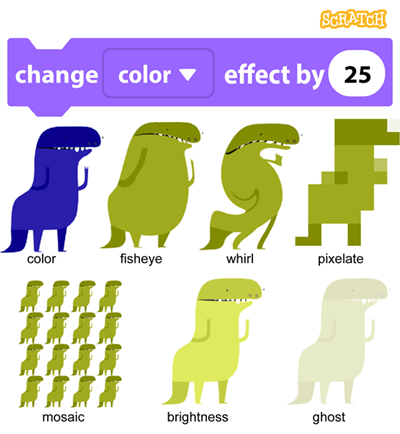 Adjust graphic effects in Scratch. Tips are taken from the technology project TechnoCode. It includes a storytelling coding unit. Students explore the Looks palette to discover how to adjust the appearance of sprites. They apply their knowledge to animate an adventure in a strange or magical place. Instructional materials include a planning sheet, worksheets, example videos, sample scripts, story checklist, coding journal log, story rubric, Scratch quiz, diorama skill review, and extension activity. Attract Attention: Make a target easy to spot. For example, it could bulge using the fisheye effect when it appears on the stage. Score Points: To show that a player has touched a target it could change its appearance. For example, it could distort using the whirl effect. Create a Character: Perhaps your character is a ghost. Use the ghost effect to make them transparent. Illustrate Action: Show an event. For example, if a character drinks potion maybe they change color. Illustrate story action using graphic effects. Lessons are included in the TechnoCode storytelling coding unit. Clear graphic effects to return the sprite to its original state. You can place the change effect inside a repeat coding block. This will cause a sprite to adjust its appearance many times. Repeat the graphic effect to have the appearance change many times. Study the sample script above. You will notice it includes a wait coding block. This slows down the action, to make the changes easier to see. You will also see that it includes a clear graphic effects block at the end of the script to reset the sprite’s appearance (this coding block can also be placed at the beginning of the script). How Much Should the Graphic Effect Change? The change effect coding block has a value that can be set. What number should you use? Use the information in the table as a guide. Change the hue of the sprite. Bulge or shrink part of the sprite. Twist the shape of the sprite. Divide the sprite into colored squares. Display multiple copies of the sprite in an array pattern, such as 4 x4. Lighten or darken the sprite. Make a sprite transparent or see-through. When completing Scratch activities your students will benefit from understanding ordered pairs. This is a mathematical concept that is often not taught until the higher grades. However, it is knowledge that will help young programmers. It can be used to place sprites on the stage by setting the x and y values. It also helps when debugging scripts to determine why the positioning or movement is incorrect. NOTE: The information in this blog article is from TechnoCode. TechnoCode includes Scratch activities that are ideal for beginners. When you place a character on the stage, the Sprite pane shows x and y coordinates. They tell where the sprite is on the stage. If you drag the sprite, the numbers change because the position is now different. The X and Y coordinates tell where a sprite is on the stage. Many Scratch coding blocks list x and y values. These coding blocks can be used to tell a character where to go on the stage. How do you know the value of x and y? Where do you get the numbers? You cannot see it – but the Scratch stage is divided into four parts. This is done using two number lines. The x number line goes from left to right. It tells where a sprite is on the stage horizontally. The y number line goes from top to bottom. It tells where a sprite is on the stage vertically. The center of the stage is where the two number lines meet. The Scratch stage is divided into four parts. What Is the X and Y Value? Each part of the stage is made up of dots. Each dot has an x value and a y value that tell its location on the stage. The y value tells you how many steps to move up or down from the center point. If the number is positive, move up. If it is negative, move down. Look at the picture below. Where is the dot on the stage? First, count across to get the x value. Then count up or down to get the y value. It is at x: 150, y: 100. Where is the dot on the stage? Where Is the Sprite on the Stage? The x number line starts at -240 and ends at 240. The y number lines starts at -180 and ends at 180. This activity is an excerpt from TechnoCode. 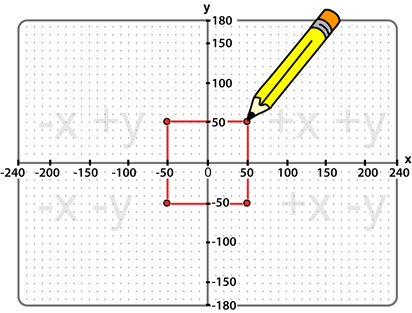 The Scratch lesson includes four drawing activities designed to help students comprehend X and Y coordinates. Drawing in Scratch is like doing a dot-to-dot puzzle. To draw a picture, build a script that puts the pen down at the first dot. Then move the pen from one dot to next. Try it! Look at the picture of the Scratch stage. What are the x and y coordinates for each dot? What are the X and Y values for each dot? Start a new Scratch project. Name it square. Select a sprite to use as a drawing tool. Resize the sprite to make it small. Click Add Extension. Select Pen. About the script: Start when Go is clicked. Move to the first dot. Put the pen down to draw. Draw from one dot to another. See the square for 3 seconds. Erase the square. Drawing a picture in Scratch is like doing a dot-to-dot puzzle. In a dot-to-dot, each dot is numbered. A line joins one dot to the next. The lines form a picture. Use your skills to make your own picture. Pick a suggestion or come up with your own idea. 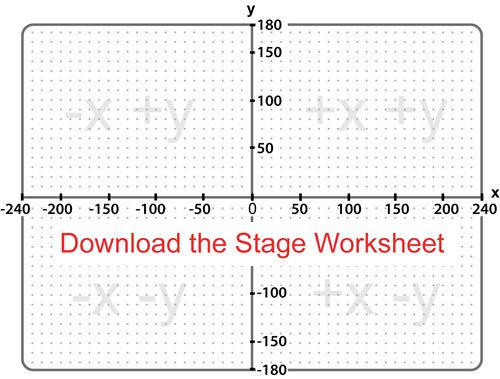 Download the Scratch Stage Worksheet. Sketch your idea for a drawing. Circle the “dot” at the beginning and at the end of each line. 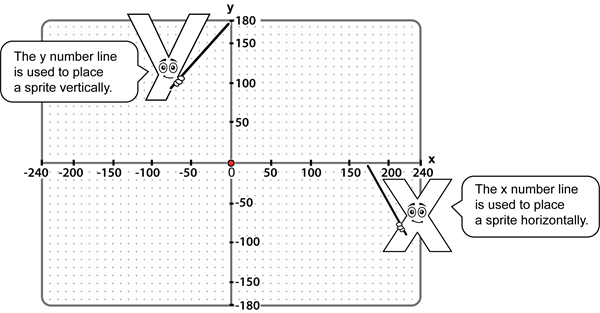 List the x and y values for each “dot” in the order they should be drawn. TIP: Write pen up after a “dot” or x y value that should not have a line drawn to the next “dot” or x y value in the list. 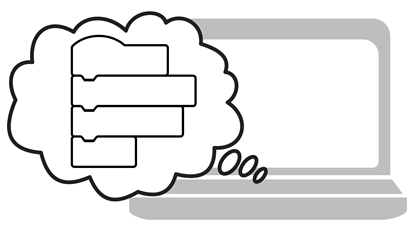 Download the Scratch Stage Worksheet to plan your drawing. Are you stuck for ideas? If you are not sure what to draw, try building this script. What does it make? Use your coding skills to plan your own drawing. TechnoCode has over 30 assignments that explain step-by-step how to create animated scenes, games, and puzzles. Discover the fun you can have with Scratch! TechnoCode is jam-packed full of Scratch activities. Do you want coding lessons for Scratch 3? Great news! 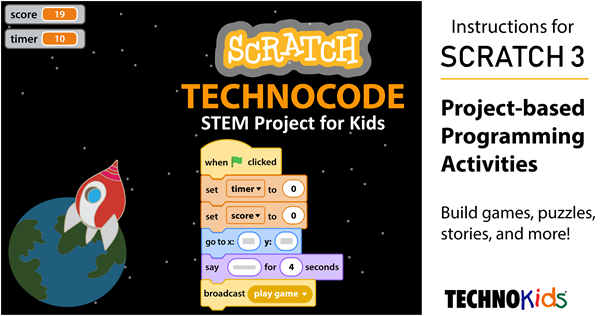 TechnoKids just published TechnoCode for Scratch 3. It is jam-packed full of programming activities for students in elementary and middle school. 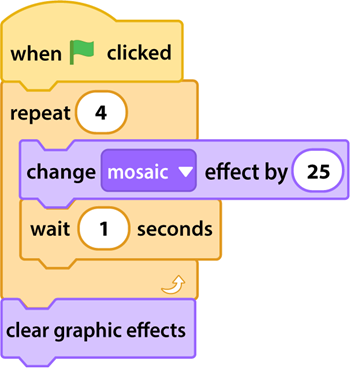 Scratch 3 is an app that allows kids, especially those aged 8-16, to program their own creations by sequencing coding blocks together. It is a fun way to have students build scripts that control the movement and appearance of characters. It can be used to make interactive stories, games, puzzles, artwork, music, and more! If you want your students to design their own unique programs, TechnoCode might be right for you. The coding lessons for Scratch 3 support independent learning. You can use the instructional materials to teach a coding unit, computer science class, or workshop series. 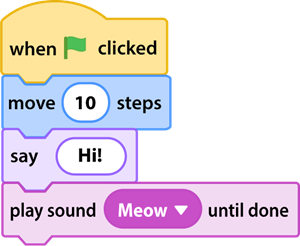 Whether you purchase TechnCode or design your own coding lessons for Scratch 3, make the instructional goal to develop a deep understanding of programming. To achieve this aim, divide each project into four parts: Exploration, Practice, Freestyle, and Reflection. This approach will gradually transform your students into programmers. Instead of mindlessly copying scripts, they will independently create their own unique programs. Have students think like programmers. 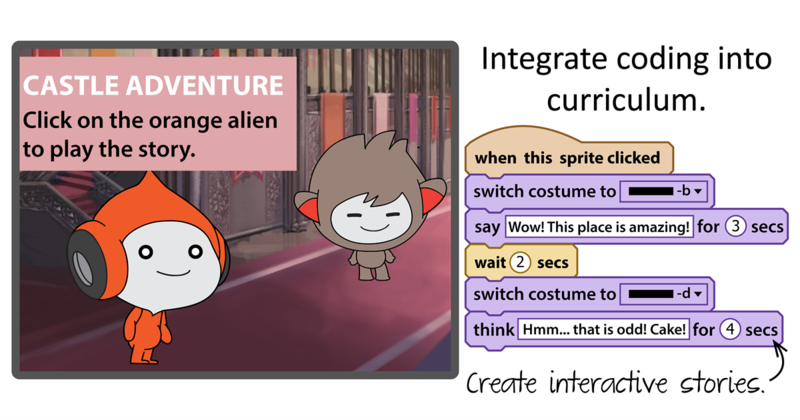 It is tempting to supply a bunch of scripts that students copy to make a project in Scratch. Instantly it appears as if you have a class full of programmers! Stories, games, and puzzles are quickly made. The downside to this approach is that students may not comprehend what they have built or why it works. When teaching programming to kids it is recommended that you begin with the basics and gradually build in complexity. To start, use guided discovery to develop an understanding of the function of coding blocks. 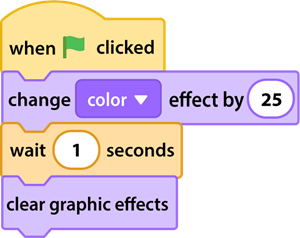 When students are learning how to code, it is essential that they recognize the purpose of commonly used Scratch blocks. This knowledge will allow them to select the appropriate block and sequence instructions correctly to complete a task. This awareness also highlights creative possibilities when designing a project. There are over 70 coding blocks in Scratch. They are organized in categories based on their purpose. If your students are beginners, they do not need to know them all. However, many are essential for building simple scripts. Use questioning techniques to help your students learn how to complete common tasks. From the Motion palette, can you find the block that will move a sprite 10 steps? What happens if you change the number of steps to 200? Or -50? How many steps does it take your sprite to walk across the stage? Want help? TechnoCode includes introductory activities that have students discover the purpose of coding blocks. They explore the program to answer questions. This investigation helps students to construct their understanding of which blocks they can use to solve a problem or do an action. Learning how to code, is like learning any other subject – it takes time and practice! Once students know the function of coding blocks, they can start to build scripts that have a specific purpose. 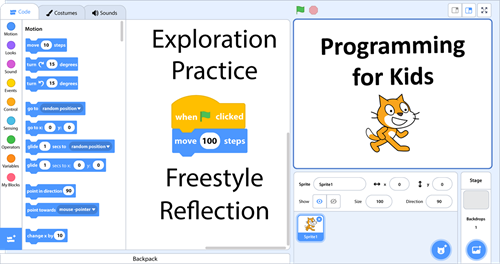 TechnoCode has coding lessons for Scratch 3 with step-by-step instructions. The assignments explain how to sequence coding blocks to construct fun projects such as an animated scene or story. Describe what will happen in the script. Provide sample scripts that students can re-create. Afterwards, have them customize the settings, rearrange the order, or add additional blocks to personalize the action. This will help your students gain confidence as they thoughtfully build scripts. Repetition is important. Students cannot learn how to code by building a script only once. Once students know how to sequence instructions they are ready to freestyle. Freestyle doesn’t mean randomly snapping together coding blocks. Happy accidents are great! 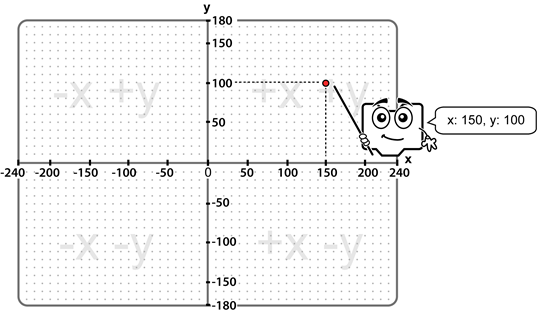 It can be fun to get unexpected results that look fantastic when coding using Scratch 3. However, the instructional goal should be to have students intentionally build scripts. Freestyle means uniquely applying coding skills to achieve a specific goal with limited guidance. This instructional approach has students develop their own method for completing a task. It gives them an opportunity to consolidate learning and transfer skills. Have students apply coding skills to build their own scripts. When freestyling, the assignment could be open-ended. For example, “Create an animated scene”. However, if you are teaching beginners, this might be too broad. Instead, you may wish to narrow the focus of the activity. Provide students with a problem they must solve using their existing knowledge. 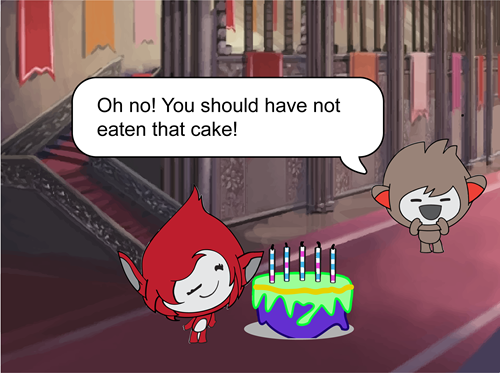 In your animated scene, the character makes a sound effect. Can you add a music track that plays throughout the entire scene? In your story, the character sends a message to a friend using broadcasting. Can you add another object that does an action when the same broadcasted message is sent? In your game, the character scores a point when it hits a target. Can you add another target that when touched causes the character to lose a point? Or can you add a second target that is worth more points? Finally, the Scratch project is complete. Before moving onto the next coding project or curriculum unit, take the time to reflect upon the experience. This will provide students with the opportunity to acknowledge their success, recognize their progress, and generate new ideas for future learning. This can be done using a worksheet, coding journal entry, or Scratch project presentation. TechnoCode has coding lessons for Scratch 3. It is a technology project that uses this four part approach. 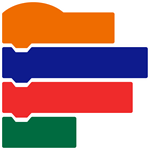 The goal of the activities is not to simply make things in Scratch 3. Instead, the objective is to have students think like programmers as they develop coding solutions. Reviews, skill reviews, and extension activities support learning.